What to do to keep your cat calm in party season? That’s a question many of us will be asking, especially after bonfire night and with Christmas and New Year around the corner. Plug in and diffuser – suitable for all pets including birds, dogs and reptiles; ambient and constant slow release and last up to 8 weeks. The team at Pet Remedy say that several years of research and trials have resulted in a unique treatment using low concentration Valerian absolute oil, blended with Vetiver, Sweet Basil, and Clary Sage essential oils. The Pet Remedy works alongside the brain’s natural messengers called neuro-transmitters, which work by telling the nerve receiving the message either to calm( via GABA pathway) or get ‘fired up’. In times of stress or anxiety the nerves get over stimulated, which leads on to the many symptoms we see in our stressed pets. 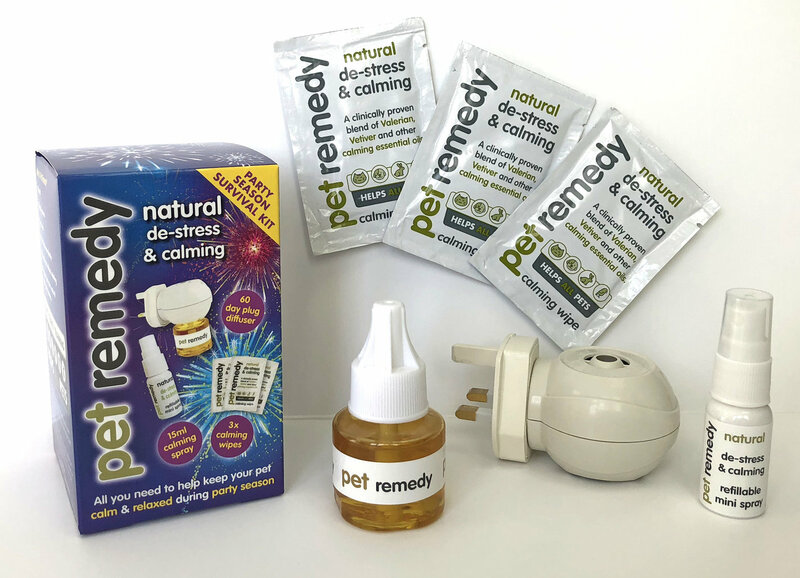 The special Pet Remedy blend of essentials oils works alongside these natural relaxation pathways to help calm the nerves of anxious or stressed pets. 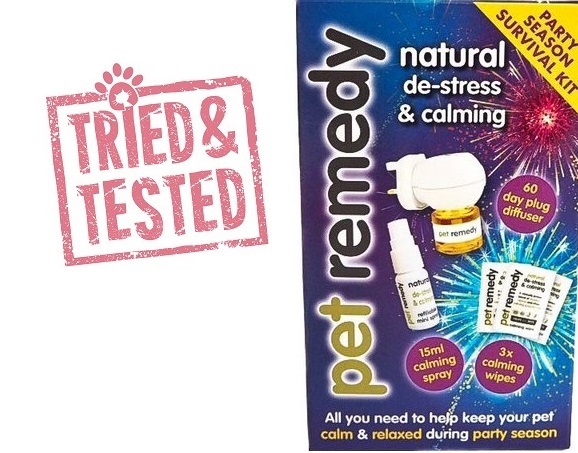 The RRP on Pet Remedy is £25, but I’ve found it on Amazon at the moment for £18.60. Doc (new member of MyMoggies team) runs around like crazy in the evening and we are starting to leave him for a bit longer in the day, so it’s perfect for then, as he seems to have calmed down when the wipes and diffuser are used. We will be having lots of visitors over the Christmas period so this is also something that may wind him up, and now we’re ready. 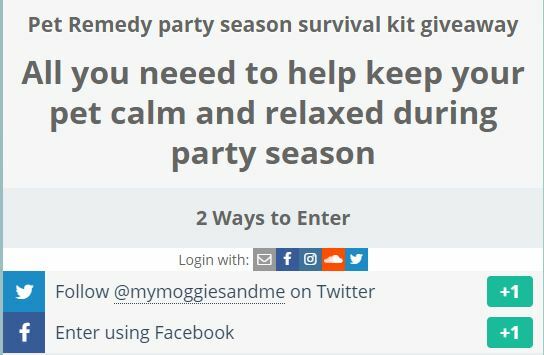 With this fantastic Party Season Survival Kit being a great set of products, I think one of your lucky readers deserves to experience the kit too, so please enter this giveaway if you have a UK address, but either following us on Twitter or Facebook or both if you want to enter twice!